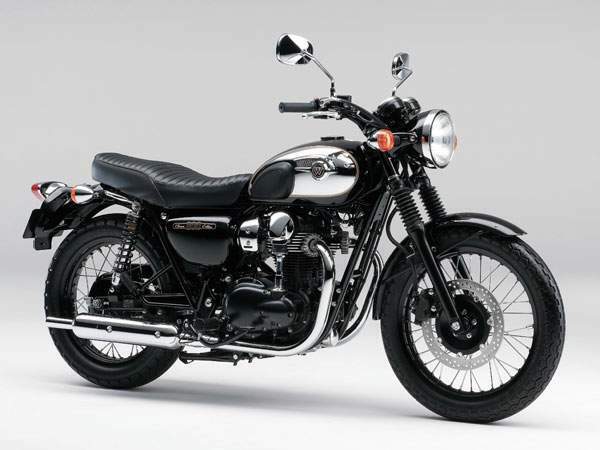 The Chromed special edition of the beautiful Kawasaki W800 called “Chrome Edition”. The bike originally launched in 2004 now looks even more vintage and classic, although it’s basically a 2012 model. As the name suggest it’s all about the chrome detailing as best seen on the tank on the Kawasaki while the 773cc, 8 valve, parallel twin still runs on large spoke wheels while everything and is bolted to the simple double-cradle steel frame.